This Basic Pork Hamburger Recipe is as tasty as it is easy. Definitely best when grilled. 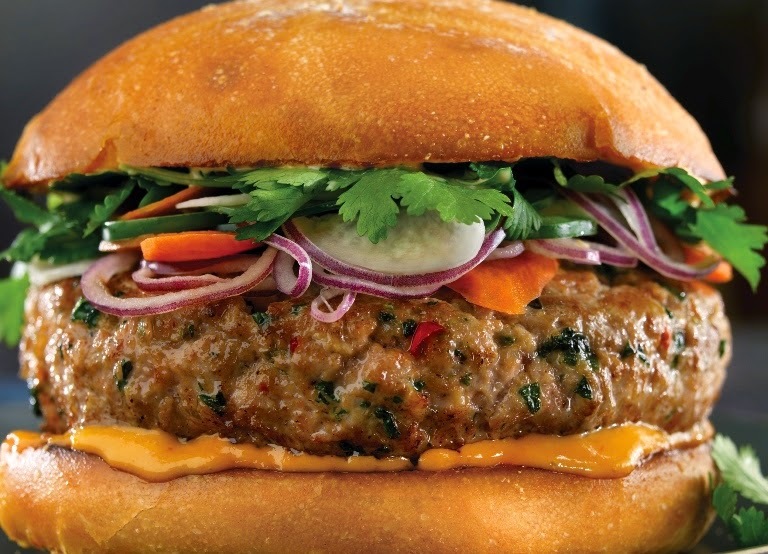 Pork is sometimes mixed with beef but it is rarely used on its own when making hamburgers. Pork is tender, economical and very tasty. Don't overcook it and you'll be surprised by the result. Mix all the patty ingredients thoroughly, leaving the salt for after the patties are cooked if you prefer. Make sure the mixture is cool. Divide mixture into 4 equal balls and mold into patties. Cook on medium heat under the grill, on the barbecue or in a pan until the patties are cooked to medium done (160F/70C) making sure you don't overcook them or the pork will become dry and tasteless. Split the rolls and toast the cut surfaces lightly just before the patties are done. Spread mayonnaise on the bottom halves, add a thin slice of onion, some lettuce, a slice of tomato and a little sliced gherkin. Top it off with a little more mayo, the patty, some mustard and the other half of the roll. Note: You can create your own toppings, sauce and ingredients to suit your taste. I really enjoyed reading the post, it opened my mind to new directions.